Today, just about anything is possible with your mobile device – including getting medical advice or treatment from Pure Dermatology. Perhaps you live remotely or have a meeting your can’t miss? Maybe there just isn’t a good time to schedule an in-office appointment for that skin issue? Connect with your dermatologist from virtually anywhere, anytime. Get started with virtual appointments today! 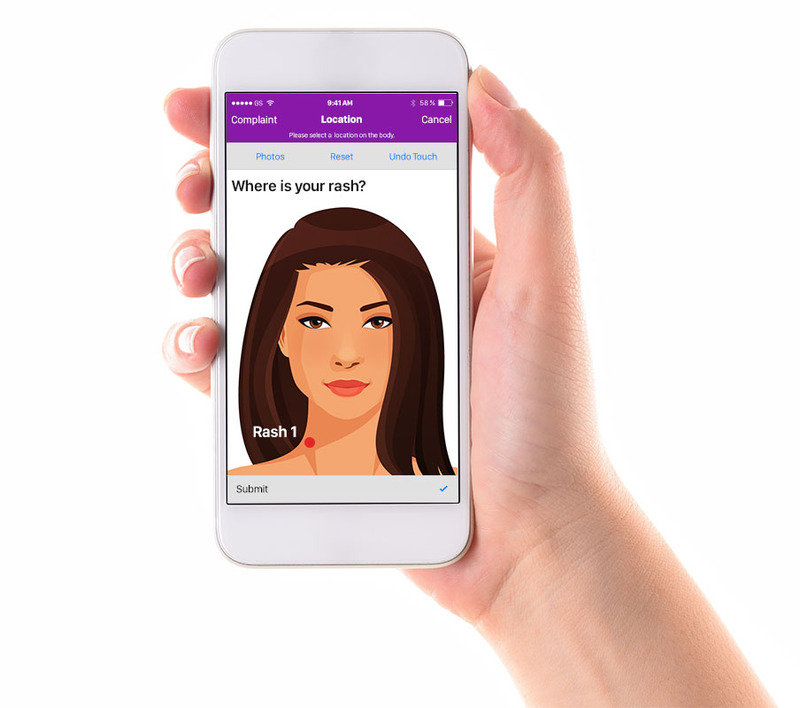 Existing patients have access to app-based virtual appointment services – ideal for mild skin issues, such as wart, rash or acne consultations. The service is also appropriate for follow up visits and medication refills. Install the Telehealth app by clicking on one of the buttons below. Then, follow the in-app steps to initiate your virtual dermatology appointment. Contact Pure Dermatology by phone or speak with us during an in-office visit for the Provider URL and to confirm your email address. Go to your email box (and check your Junk email box if necessary) and click on the link to confirm receipt of the information. Please note that the email is only valid for 24-hours. Follow the steps provided in the email to login to the app and change your password. *Remember that you must be an established patient with Pure Dermatology. *Please use the same email address that you use in your communication with Pure Dermatology. Telehealth is the use of electronic communication to provide or receive medical advice and treatment remotely. Consider it a virtual visit to your doctor’s office. In the app, you will first answer a series of questions about your condition and then take a few photos to send with your case. The Telephealth app is free to download. There is a small fee from the Modernizing Medicine app platform and the fee charged for the visit by Pure Dermatology. If you have a condition that requires immediate attention, this app is not the appropriate course of action. Please contact your doctor immediately. Telehealth is intended to be supplemental and a convenient way to get a diagnosis or medical advice for common issues such as rashes, acne and skin lesions. Download the Telehealth Patient Guide HERE.